At Freeland Car Credit, we are the bank and we’ll get you approved for an auto loan. We cut out the middleman, to make car financing easier and get you into a vehicle quickly. Helping you find used cars and secure a bad credit loan is our specialty! If you have bad credit, no credit or bankruptcy – it’s not a problem at Freeland Car Credit. Buy Here Pay Here is our business, we get you approved and in a car in no time at all. With Freeland Car Credit, you can get your credit back. Our program has the strong reputation of helping our customers with their payment plans while also rebuilding their credit at the same time. We report to the Credit Bureau (click here for testimonials of customers that got their credit back with Freeland Car Credit). Ascent Auto Finance has agreed to finance your vehicle and you have signed a legal binding contact agreeing to repay your loan with on time payments. Payment amount and payment due date is specified in your contract. We do report to Trans Union credit bureau so ON TIME payments will improve your credit. If you move, change phone numbers, change employment or insurance please contact our collections department within 24 hours with your new information. If for any reason you are not able to make your payment on time you must contact our collections department on or before your payment due date. Please read your Limited Warranty carefully and if you have any questions please don’t hesitate to ask. Freeland Used Car Superstore is furnishing you with a 12 month OR 12,000 Mile Limited Warranty. Any repair needed after you take delivery that is NOT specified as a covered item under the warranty will be your responsibility. 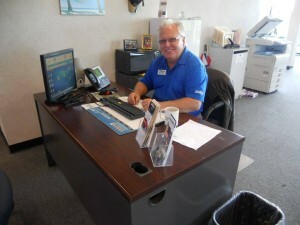 Freeland Chevrolet does not provide a loaner or free rental car while your vehicle is in service. You are required to have your vehicle maintained on a regular basis and keep receipts to keep your warranty in effect. Credit Approval! Quick, Easy and Secure! Buy Here Pay Here is our business, we get you approved and in a car in no time at all. Apply now!